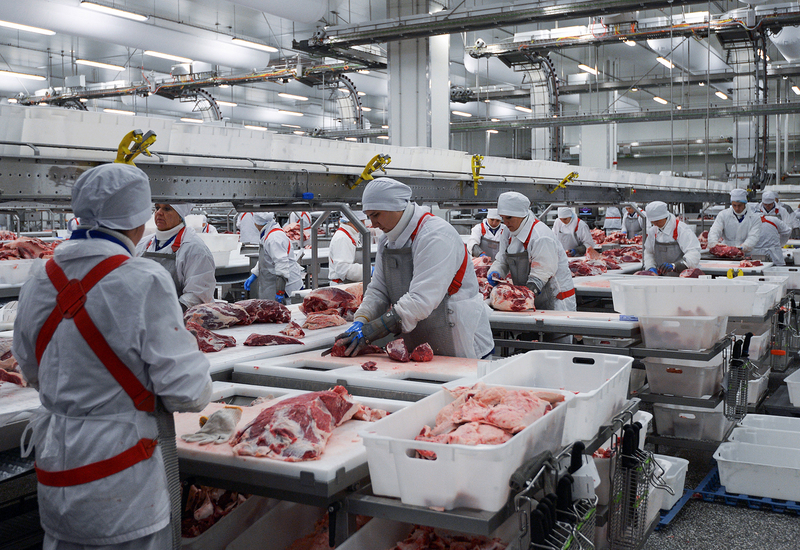 A meat processing facility in Russia. Low prices, growth in agricultural output, and increased production in the Russian Far East can be key factors in boosting Russian agricultural exports to Japan. Russia would like to significantly increase exports of agricultural products to Japan, officials from the Russian Ministry of Agriculture said during the Russian-Japanese dialogue on agriculture in Tokyo on July 26. Russia's agricultural watchdog, Rosselkhoznadzor, has compiled a list of companies interested in exporting their products to their Japanese counterparts, the officials added. Moscow is particularly keen to increase exports of pork and poultry products. Russia's trade representative in Tokyo, Sergei Egorov told RBTH he saw good prospects for meat exports to Japan, as Russian pork and poultry is “significantly cheaper” than local produce. “Russia is now supplying negligible volumes of agricultural products to Japan, mostly small batches of crops and grain," Ivan Rubanov, head of the analytical group of the Russian Government's Agricultural Committee, told RBTH. According to him, this is mainly because most of the export crops are grown in the European part of Russia and Western Siberia, which makes their transportation to the eastern regions too expensive. Russia’s total food exports to Japan totaled $290 million in 2015, of which 90 percent consisted of fish products, the Russian National Union of Food Exporters told RBTH. The Russian Ministry of Agriculture has not yet provided any concrete plans to increase exports to Japan. At the moment, Japanese authorities are preparing to once again check Russian meat and grain for compliance with their standards. Several experts interviewed by RBTH believe that Russian producers are ready to enter the Asian market. Their success can be boosted by a reduction of costs due to the devaluation of the ruble, and an increase in the rate of domestic production, including in the Russian Far East. Ivan Rubanov says the growing interest in Russian food products in Asian countries has spurred the launch of agricultural projects in eastern Russia. Rusagro, one of Russia's largest agricultural companies, intends to invest about $1 billion in the construction of pig farms in the Russian Far East. The company plans to export a part of its produce to Japan, Rubanov adds.